This week’s You Capture challenge topic is “motion.” I thought about this last week and didn’t have a clue as to what I would shoot. 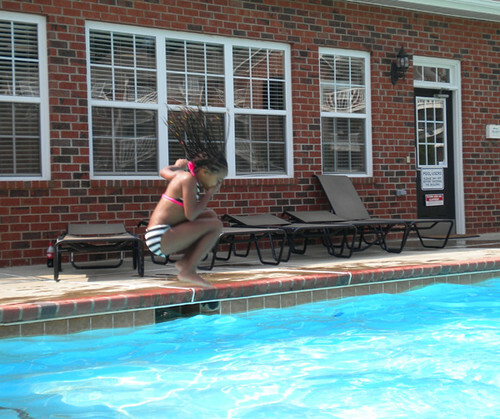 And then I took Victoria and Gabrielle to the pool. We took lots of photos (and I purposely left these out on Sunday so I could use them for the challenge!) I think they came out pretty cool, though. 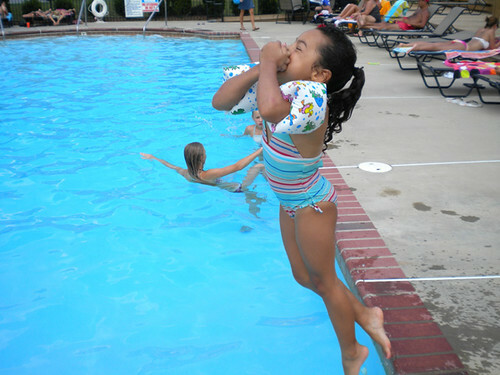 Gabrielle really knows how to jump, even if she doesn’t have the whole “swimming” thing down. That doesn’t stop her from jumping high. 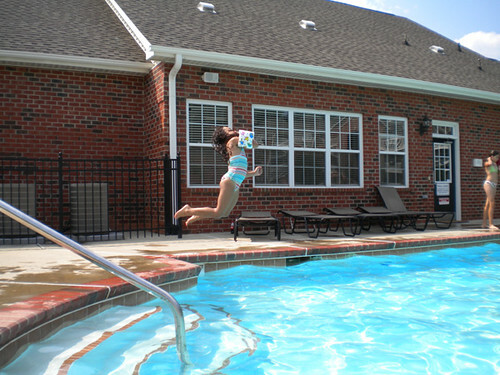 And Victoria likes to do flips, even when I tell her not to because it scares me. Head over to Beth’s blog for more You Capture posts. Great captures. Of course, I am biased because I also did pool shots. That last cannonball is fantastic! Don’t you just love how they like to torture us for fun? THAT’S WHAT SUMMER MOTION IS ALL ABOUT!!! Great shots… I also love the hair in the last shot! Enjoy this last bit of summer!! I could really FEEL the motion in these pictures! Very nice! Thanks, everyone! The girls are actually my Goddaughters who I got to see this past weekend. I had to be warned of their “bravery” of jumping into deep water, since the younger one can’t swim well! i love the hair flyin too! Great pictures. I love these! The last one is my favorite!!! Great job! 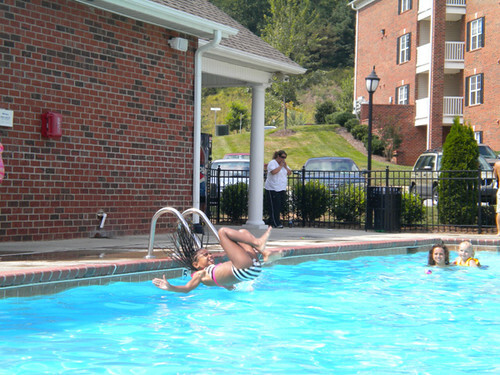 I love the one of her doing the flip, altho it scared me too! I think pool pics were pretty popular this week! They look like they are having such fun in the shots. Great job!